Inside the Chess Club and Scholastic Center on Maryland Avenue. Chess boards are linked to a computer system that is reflected on television screens, allowing for games to be watched and tracked in real time. The Center provides lessons and tournaments for all ages and skill sets. The Center sits across from the World Chess Hall of Fame, where exhibits and arts events are regularly held. The gauntlet was thrown when international champion and chess coach Susan Polgar chose to move her Institute for Chess Excellence from Texas Tech to Webster University last winter, creating a new outlet for international players to receive chess scholarships and play in a new environment. Soon after the announcement, Lindenwood University launched their own competitive program, landing players such as India’s Priyadharshan Kannappan, who is on a path to becoming a Grandmaster, the most revered title in the game. International Grandmaster Yasser Seirawan is currently serving as the Grandmaster in Residence at the St Louis Chess Club. 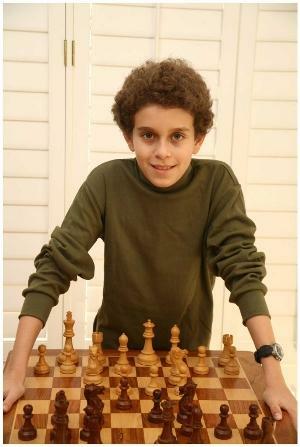 Raised in Seattle, the Syrian native is a 4 time US chess champion and has played ten times on the US Olympic chess team. After four decades, Seirwan has been able to trace the popularity of the sport in the US through the latter half of the twentieth century - and now, to St. Louis. “These top, top players are coming because they are getting scholarships, and their presence is kind of creating this magnet – the more players you draw, the more players that are drawn to the activity,” he says. 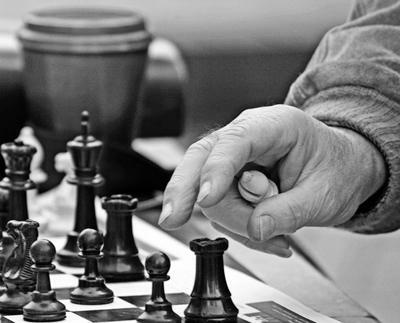 The growth of the chess scene in St. Louis can be traced back to businessman and political benefactor Rex Sinquefeld, who opened up the nonprofit Chess Club and Scholastic Center in the Central West End four years ago. Since then, the city has been twice named “Chess City of the Year” by the US Chess Federation, and the Center named “Chess Club of the Year” in 2010. Across the street is the World Chess Hall of Fame, which serves as an exhibition space for both chess and the arts. The Chess Club currently has over 900 active members. 47 percent of their membership base is full time students of all ages. Belarus native and Woman Grandmaster Anna Sharevich is working on her Masters in Public Administration at Lindenwood while on scholarship. Sharevich learned to play the game at age 5 from her father. She became aware of the Club’s growing popularity through her American friends, but couldn’t land on the right opportunity to come across the waters to study until now. But as one knows, chess is not a solo sport. Husband and wife team Andre and Maraani Diamant came from Brazil by way of Texas, to play at Webster University. The International Relations majors are also parents to a 4-year-old son. Wife Maraani, who also teaches at a local school, enjoys seeing both husband and child play. The “new wave” of chess is something that St Louis native and former state chess champion Doug Eckert would have never fathomed coming to the city. He’s a chess star in his own right. He peaked in 1983 and 84, when he won the US Junior Open two years in a row, and has played Garry Kasparov, who is considered as one of the best players of all time. An accountant by day, Eckert continues to compete in tournaments sponsored by the Club. He’s confident in the idea of St Louis continuing to grow its chess anchor.